The name SOCCSKSARGEN is an acronym that stands for the region's four provinces and one of its cities: South Cotabato, Cotabato, Sultan Kudarat, Sarangani and General Santos City. The Department of Tourism (DOT) 12, headed by Regional Director Nelly Nita Dillera, launched seven tour packages that would bring local and foreign tourists to the leading culturally and naturally rich eco-tourism sites across the region. “Everything in the value chain of tourism are already connected with one another in these tour packages,” said Dillera, adding that these are being offered to tour operators who will sell these to their patrons. Another official of the agency said DOT 12 and travel and tour operators are currently discussing to set uniform price for each tour package. Dillera explained the initiative is in line with the DOT-led Visit Philippines Year 2015 as well as the APEC Ministerial Meetings and Leaders’ Summit in 2015. “While any place in Mindanao has not been booked for any activity of the APEC Summit next year, we hope that we can entice the participants and their relatives and friends to come to Mindanao,” she said. She explained further that besides the aforementioned reason, establishing these tour packages is particularly geared toward their advocacy to promote SOCCSKSARGEN Region, which Regional Tourism Council chairperson Michelle Solon described as “the next big thing” in tourism. “It’s unique, It’s new. It’s fresh,” Solon said, referring to SOCCSKSARGEN Region. “A lot of people have been everywhere, so they are now looking for new places to go. This is our time,” she said in her message at the tour packages launching ceremony at the South Cotabato Gymnasium and Cultural Center in Koronadal City. A half-day tour package in General Santos City would bring visitors to the Gensan Fishport Complex; the Sarangani Highlands Garden and Restaurant or the Mt. Sabrina Mountain View Resort; world boxing champion Manny Pacquiao’s stadium, mansion, and hotel; the Gen. Paulino Santos Museum; and the Gensan Pasalubong Center. 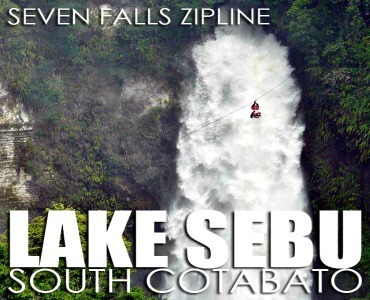 A longer day tour Gensan – Lake Sebu Tour Package also travels through Gensan Fishport Complex, Sarangani Highlands and the Pacman Mansion but adds a trip to South Cotabato’s premier eco-tourism site Lake Sebu for a zipline adventure, hike at the scenic Seven Falls Eco-Tourism Park, 30-minute boat ride at the 354-hectare Lake Sebu, a meal of tilapia recipes aboard a floating restaurants and an experience of the Tboli rich culture and tradition at the Tboli museum and souvenir shops. Those who would love a mix of water adventure and culture may opt for the Gensan Fishport – Maitum Tour Package. For this set, tourists visit the fishport and Sarangani Highlands before proceeding to Maitum for water tubing adventure at the Pangi River, educational tour to the “Faces of Maitum” Museum where centuries-old human-shaped burial jars and potteries as well as products of local artists are housed, and a visit to the Pawikan Sanctuary. The tour is capped at the Lemlunay Dive Resort in Maasim. Travelers who go for cultural immersion may go for a two-day-one-night Tboli Cultural and Eco Escape in South Cotabato which visits the Dole Pineapple Plantation and Tupi Fruit Park in Polomolok and Tupi towns, Kablon Farms Pasalubong Center in Koronadal City and the Surallah Tri-People Monument before proceeding Lake Sebu where they are set to visit very important cultural destinations: the Tboli School on Living Traditions, the Lang Dulay T’nalak Weaving Center, and House of Gongs and Tboli Museum. Food and accommodation are set at Dolores Lake Resort and the Fortune Field Resort, known for their tilapia and catfish recipes and other delightful local cuisine. A bonus to this trip is a visit to the Seven Falls Eco-Tourism park where the visitors could relax in the scenic view and pump up adrenaline at Southeast Asia’s highest zipline ride. Moreover, tourists may also opt for one-day Eco-Industrial Tour in Sultan Kudarat Province which covers the imposing Sultan Kudarat Provincial Capitol in Isulan, the Baras Bird Sanctuary in Tacurong City. Tourists also visit processing plants for organic muscovado and oil palm, take a dip at the Marquez Hot Spring, and observe the lives of Tedurays in a nearby cultural village and eat rice delicacies. An optional 2-day-1-night tour is also available, which includes a tour to the province’s coffee industry and caving at the Lagbasan Cave which is only open to researchers, scientists and professional photographers. A day tour to discover the cultural charms of Cotabato City is also available. Destinations include the People’s Palace (government center), the Immaculate Cathedral, the Barter Trade Center, the Al Jamelah Weaving Center and the massive Sultan Bolkiah Hassanal Mosque and tasting of Maguindanao delicacies at the Tantawan Park and king crabs, prawns and milkfish in Kalanganan. The longest of these tour packages spans three days and two nights an adventure for the bold and brave to the country’s highest peak Mt. Apo. Tourists have three choices as entry point all with unique features, namely: New Israel for Makilala Trail through the Moncadista village; Lake Agco, known for its hot spring for the Mandarangan Trail; and Tausuvan Falls known for its waterfall and lush forest background for the Bongolanon Trail. An option for this tour is a side trip to the Asik-Asik Falls popular its amazing curtain of spring waterfalls.